For the December 2014 segment of Righting Crime Fiction, I will continue talking about how you can use firearms evidence to solve your fictional crimes that involve guns, with a focus on spent shell casings and the link between casings and firearms. A bullet casing can be scarred in a number of ways upon being fired and ejected from a firearm, but the most beneficial and telling “scar” would be from the firing pin. 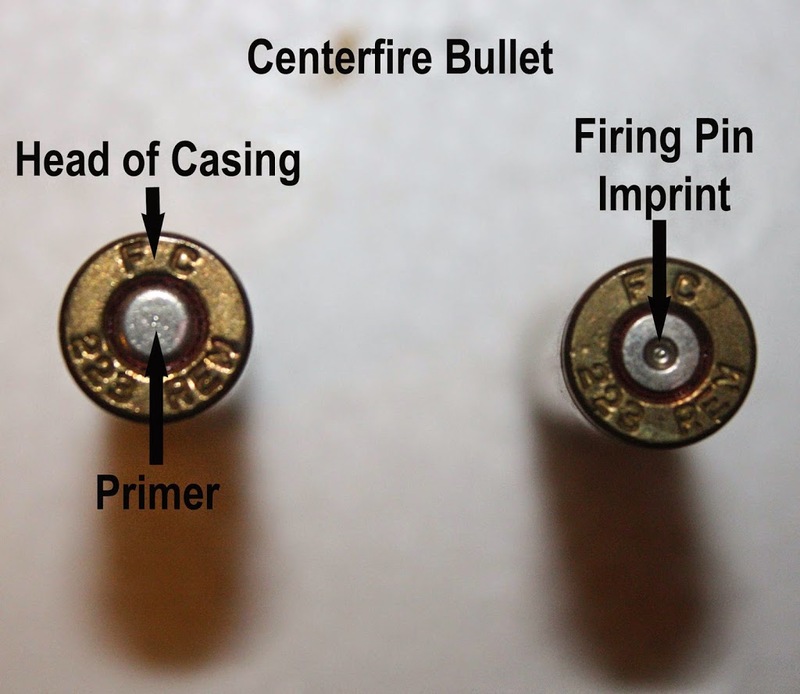 When a firing pin strikes the primer (on centerfire bullets) or the rim (on rimfire bullets), it leaves a unique mark similar to a fingerprint. What happens is this: the firing pin strikes every bullet it fires in the same way each and every time (unless there is damage or some other change to the weapon), which leaves the exact same imprint each and every time. This “fingerprint” left by the firing pin is extremely helpful in determining if a particular firearm fired a particular bullet casing. What’s the difference between centerfire and rimfire? Quite simply, the firing pin on a centerfire weapon will strike the center of the casing’s head (the primer), while the firing pin on a rimfire weapon will strike the rim of the casing’s head (where the priming compound is located). 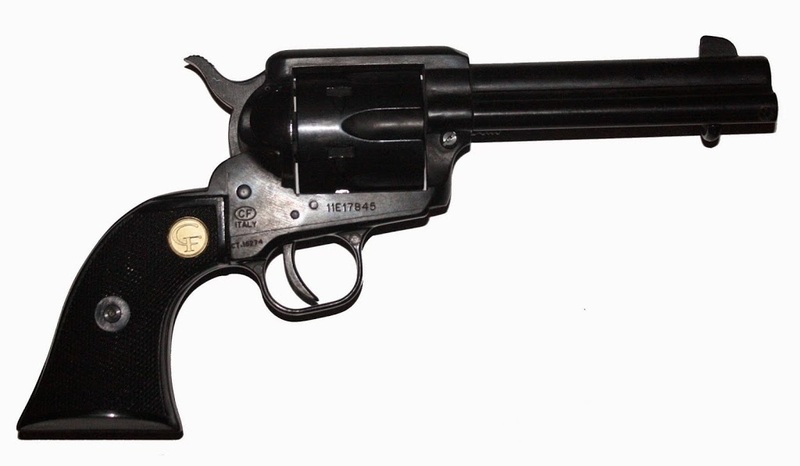 Most modern firearms are of the centerfire variety. However, there are still numerous rimfire weapons available, many of which fire the very popular .22 caliber bullet. NOTE: The following two photographs demonstrate the difference between a centerfire bullet and a rimfire bullet. In both photographs, the unfired bullet is to the left and the spent shell casing is to the right. If your detective only has spent casings in her possession and no firearm to which she can compare them, the casings are nearly useless. (They might make for a cool-looking necklace, but, other than the benefits previously described in the November segment regarding caliber identification, etc., they won’t help her solve her case.) Of course, there are at least two ways to use the lone shell casings without an accompanying firearm (I will discuss one in a later post and the other at the end of this section), but in most cases it is imperative that she recover the firearm used in the commission of the crime. In real criminal cases, we have to work with what we have and there are many times when we are unable to recover the firearms used in the crime. However, you control your fictional world and you can work out creative ways for your detective to recover the firearm—unless it suits your story to keep the firearm hidden. With the casings and the firearm in her possession, your detective is now ready to attempt to have the two linked together. The first thing she would do is submit the spent casings and the firearm to the lab. Once at the lab, these items may be processed for other evidence (DNA, fingerprints, etc.) before the ballistics examination begins. When these other tasks are completed, the firearms examiner can begin comparing the spent casings to the firearm. The examination is not carried out by directly comparing the spent casings recovered at the scene to the suspected firearm. Instead, the firearms examiner will compare the spent casings recovered at the scene to a “known” spent casing fired from the firearm. 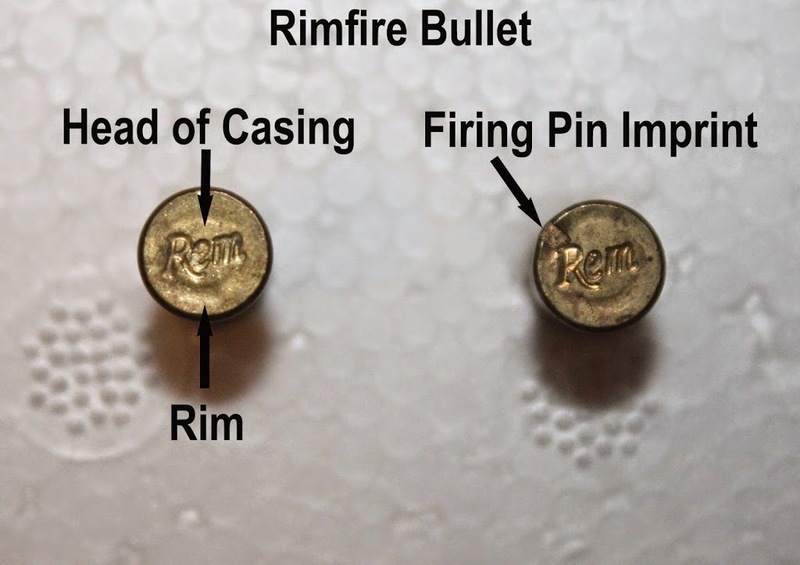 In order to obtain this “known” casing, the firearms examiner would test fire the firearm under controlled conditions (usually by firing into a large water tank located at the crime lab), and then compare the firing pin marks on the recovered shell casings to the firing pin mark on the “known” casing by viewing them side-by-side under a microscope. If these marks are the same, the firearms examiner can conclude that the casings were fired from the same firearm. In addition to these firing pin marks, or “fingerprints”, the examiner will search for other unique “scars” left on the spent casings, such as the ejector or extractor marks. These additional marks will aid the examiner in bolstering his conclusion that the spent casings located at the crime scene were fired from the firearm in question. Now, when your detective links a spent shell casing she recovered from a crime scene to a particular firearm, she has linked the crime scene to that weapon. She must then link the firearm to the suspect, and I will discuss that in a future post. WHAT IF MY DETECTIVE DOES NOT HAVE A FIREARM? If your detective does not have the suspected firearm in her possession—as mentioned earlier—the casings are nearly useless. However, certain casings can be entered into a database called IBIS (Integrated Ballistics Identification System)/NIBIN (National Integrated Ballistic Information Network), where they would be compared against other casings recovered in connection with other crimes around the country. If the system identifies two casings that are similar, a firearms examiner would then compare the two to make a final determination. Now, this would indeed be a long shot, and you should seek out more creative ways (I’ll discuss one in a future post) to have your fictional detective link the casings to a particular firearm. Unless you are writing your story from the point of view of a firearm’s examiner, you only need a very basic knowledge of the examinations process, as described above. As a detective, I simply recovered my evidence in the proper manner and submitted it to the crime lab utilizing acceptable procedures (also to be discussed in a future post), and then I would sit back and wait (doing other things on the same case or working new cases, of course, but my work was done for the moment as far as that evidence was concerned). I would later receive a report from the lab detailing their conclusions. If more information was needed, I’d simply call the examiner and discuss his or her findings. Cade knelt outside the driver’s door of the truck and looked under the seat. There was a Burger King bag and a couple of compact discs. He pulled the bag out and something rolled across the floorboard and came to rest under the brake pedal. He felt for the small object and, when his fingers found it, he knew instantly what it was—a nine-millimeter shell casing. Leslie kept the Cassells preoccupied while Cade raced to the crime lab. He stopped first at the firearm examiner’s office and then hurried down the hall to the fingerprint lab. Within the hour he was back at the station house with the results. “Oh, you want it done now?” Willie asked. Willie took the pistol and fired it into a large water tank. The casing ejected from the pistol and bounced off the wall and rolled under the tank. Willie fished the projectile out the tank and asked me to get the casing from underneath. “My back ain’t what it used to be,” he said. I had to use a broom to get it out and then handed it to Willie. He marked it and then stabbed it onto a piece of clay opposite the casing that was recovered in the Wilson murder. Muttering to himself, he hunched over his microscope and turned this knob just so, adjusted that one a little, moved the casing ever so slightly . . . So, it’s as simple as that. You can have your firearms examiner come to the conclusion that will move your story in the direction you want it to go. Bear in mind, though, that in the majority of real cases, firearms evidence will take days, weeks, or even months to be processed at the lab, especially if submitting to a state crime lab with a heavy workload. However, if you need ballistics evidence to come in quickly for the sake of your story, that is also realistic. I worked several murder cases where time was of grave importance and the firearms examiner processed the evidence on the spot while I waited. Well, that’s all for the December post, folks. I wish all of you a happy, healthy and prosperous New Year filled with lots of writing success. Until then, write, rewrite, and get it right!